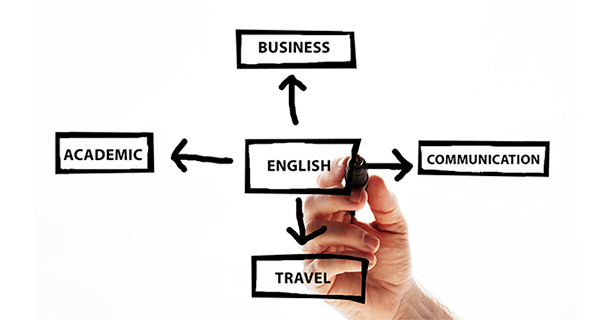 Why Is Good English Essential To Business And Study? It is estimated that over 400 million people across the world speak English as their native language and that puts it in third place after Mandarin Chinese and Spanish. However, if the number of people in the world who speak English as a secondary language is added to that figure, there are more English speakers in the world than any other language. There are round about one billion people in the world who are non-native English speakers. This means that this huge number of people have gone through the process of studying and learning to be fluent in a foreign language. It isn’t an easy language to learn either because it is a mixture of sounds and grammar forms that come from many different Germanic languages. Modern English is something of a hotchpotch of languages brought into the UK by immigrants and invaders. The Romans changed the language when they invaded and the Norsemen and the Normans brought their languages and added them to the mix. In recent years British English is still changing because of the diverse ethnic mix in the country. Countries with the highest population of native English speakers include America, UK, Canada, Australia, Ireland, South Africa and New Zealand. Of all the countries in the world where English is spoken as a non-native language, India has the greatest number of speakers. This is estimated at round about 100 million people. If native and non-native English speakers are counted together, India has more people who speak, or understand English than any other country in the world and the People’s Republic of China comes a close second. English is so widely spoken on a worldwide basis that it has often been referred to as the global language. Business deals, technical publications and international financial deals are very often carried out in English. So, an understanding of this language is an important skill for anyone who wants to do business on an international level. Proficiency in English is required to access higher education in many countries because many of the text books and research papers used are written in English. Students who apply to go to university in US, UK, Australia and many other countries will need to take examinations such as IELTS to demonstrate their ability to read, write and understand the language. Anyone who does not speak English well will find that upgrading their skills will bring benefits by improving their choices in education and in the business world. There is a move towards learning International English which is a combination of US, UK and other dialects, so there is no longer a need to choose between British and American English. Secondary language – A second language, not your native language. Fluent – able to speak or write smoothly, easily, or readily. Germanic – an ancient Indo-European language, the immediate linguistic ancestor of the Germanic languages. Hotchpotch – a thick soup or stew of vegetables or meat, often thickened with barley. Dialect – a provincial, rural, or socially distinct variety of a language that differs from the standard language, especially when considered as substandard.